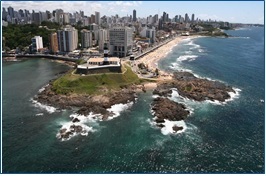 We will hold the 38th International Conference on Conceptual Modeling (ER 2019) in Salvador, the capital of the state of Bahia, in the North-east region of Brazil, in the period of November 4-7, 2019. Salvador was the first capital of Brazil and is the 3rd largest city in the country. It is a very attractive tourist destination, due to its history, culture and gastronomy, all strongly influenced by the first African slaves and the Portuguese culture. 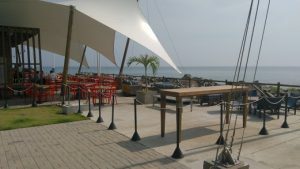 It has 25 km of urban beaches and several not-to-miss historic venues, like Pelourinho, Farol da Barra, Ilha de Itaparica, historical churches, museums, and Candomblé centers. It is also close to other touristic destinations in Bahia, like Morro de São Paulo, Praia do Forte and Boipeba. 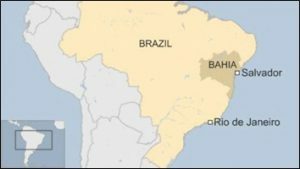 The region time zone is the same as Brazil’s capital, Brasília, which is three hours behind GMT (GMT-3). The climate is classified as temperate, with an average annual temperature varying between 21° C and 30° C, with relative humidity ranging around 65-75%. Night temperatures usually drop to around 18° C or 65° F.